Light, strong and compact. 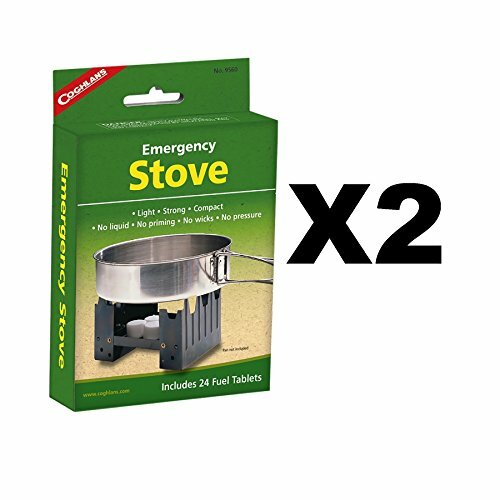 Requires no liquids, no priming, no wick and no pressure -­ the ideal emergency stove. Uses any solid fuel such as Hexamine, Trioxane or Sterno. Dimensions (Folded): 4.5" x 3.75" x 1"
Dimensions (Standing): 4.5" x 3.75" x 2.5"
View More In Emergency Fire Starters. If you have any questions about this product by Coghlan's, contact us by completing and submitting the form below. If you are looking for a specif part number, please include it with your message.